As Tampa Bay’s exclusive Christie’s International Real Estate affiliate, Coastal Properties Group International understands and embraces the significance this elite affiliation offers our clients. Christie’s Real Estate International is the world’s leading luxury real estate network, with more than 32,000 sales associates in its network of 1,074 real estate offices in 40 countries. Admittance to the exclusive Christie’s network is by invitation-only to companies with proven records of success in high-value home sales. Christie’s Real Estate International provides MAXIMUM international exposure for your property! The network offers an incomparable level of service, worldwide visibility, lead generation, and instant brand recognition, resulting in impressive sales and procurement. 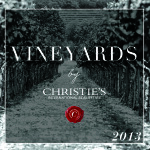 With sales of over $100 billion in 2012, Christie’s International Real Estate is the undisputed global marketing authority for luxury real estate!